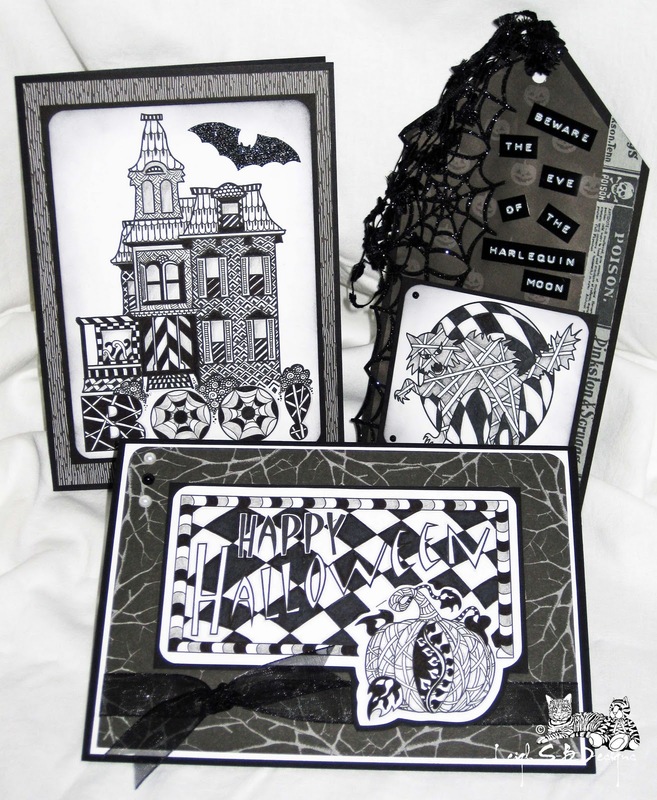 Velvet Paw Creations: Zentangle'Ween Art Cards - A Blockheads Design Team Project! 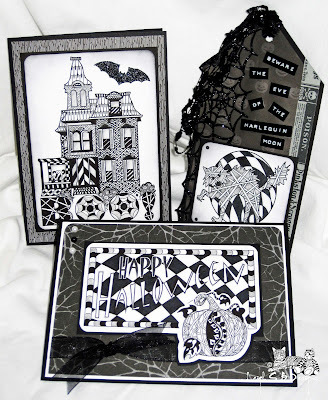 Zentangle'Ween Art Cards - A Blockheads Design Team Project! 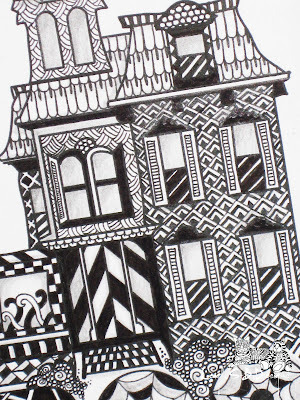 Have you been swept up by the Zentangle phenomenon? 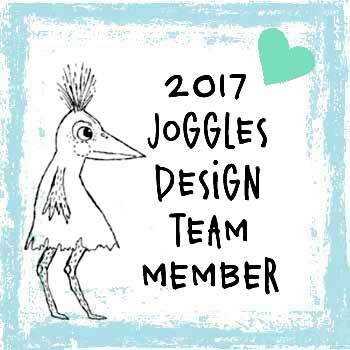 I sure have and I love it! 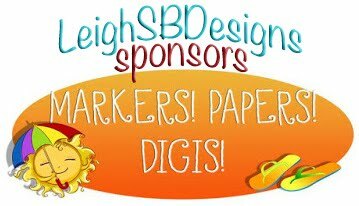 Today I'm sharing two Zentangle cards and a jumbo Tag I've made using Blockheads Paper Arts new line of Digi Stamps! 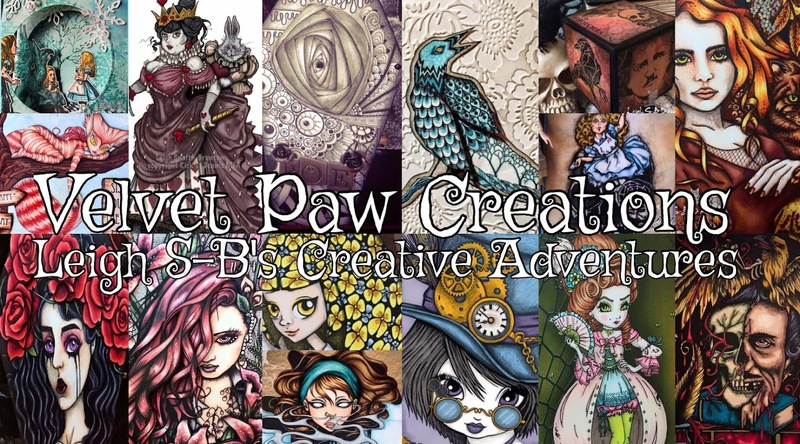 I re-sized and combined images in Photoshop and printed them all out on white cardstock. 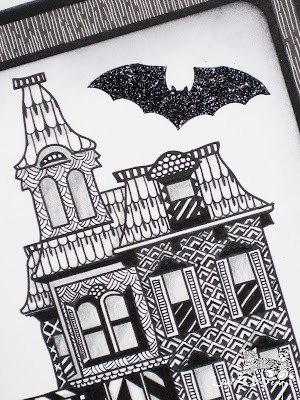 For my Zentangles I use the recommended Micron 01 pen for the fine details, a fine point Sharpie marker for the larger areas and a pencil for shading. 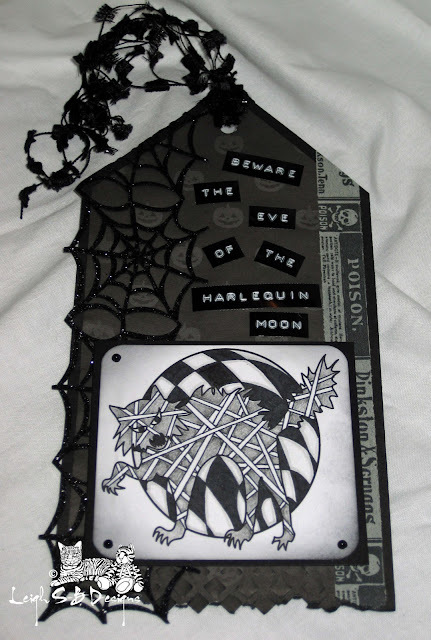 I realized once my jumbo tag was finished that I would have preferred the cat coloured black instead of the moon so I will do that next time! 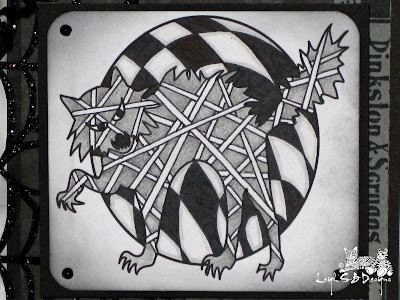 So this kitty is a ghost-mummy-zombie so be triple beware of this kitty crossing your path ;0) I cut out the panel and used a corner rounder punch on the corners then grunged up the edges with Black Soot Distress Ink and an Ink Applicator tool and then matted it on black cardstock. I added self-adhesive black pearls to 3 corners. 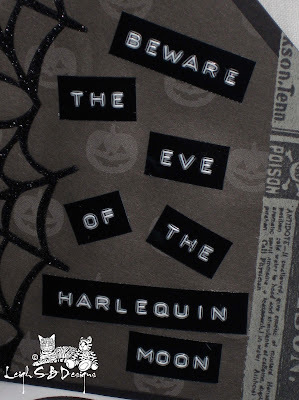 I made the jumbo tag from black cardstock and cut a smaller panel from decorative Halloween pumpkin paper I found in Target's $1 section and punched a hole at the top with a standard hole punch. I created a really cool half-punched design along the bottom of the tag with a Martha Stewart Lattice punch. A while ago I discovered by happy accident that combined cardstock and paper mats are too thick for the punch to handle which results in the half-punched diamond pattern which I love so I used it here and then tore the bottom for a ragged edge! 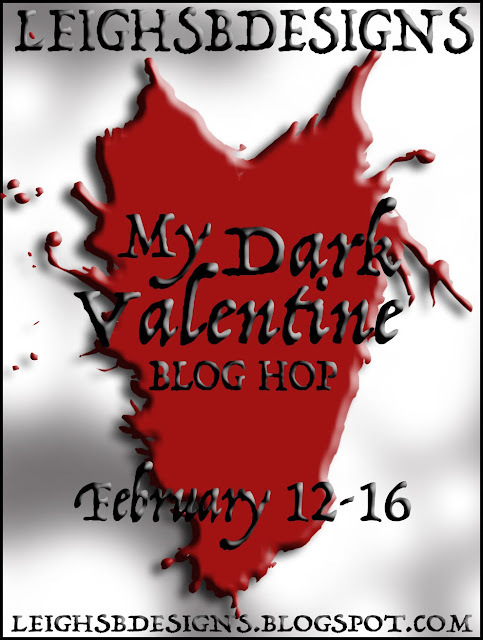 I then applied Black Soot Distress Ink to grunge it up. 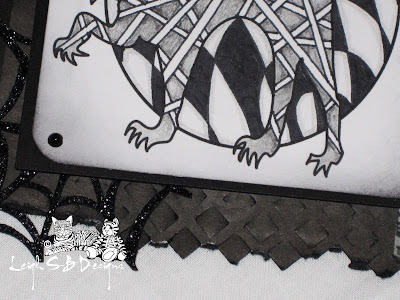 I embellished the left side of the tag with an iron-on fabric applique spiderweb trim from Joann's. 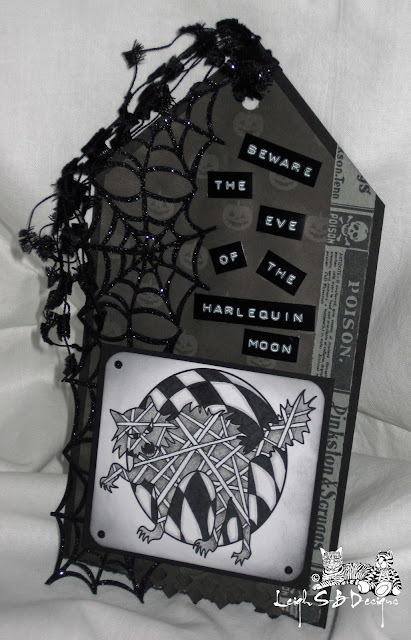 It ironed on to the jumbo tag nicely and then I embellished the right hand side with Tim Holtz' Hobgoblin tissue tape. I finished off my jumbo tag with the warning message made with a Dymo Buddy label maker and added two kinds of flag fancy fiber (one is glittery and the other is matte). 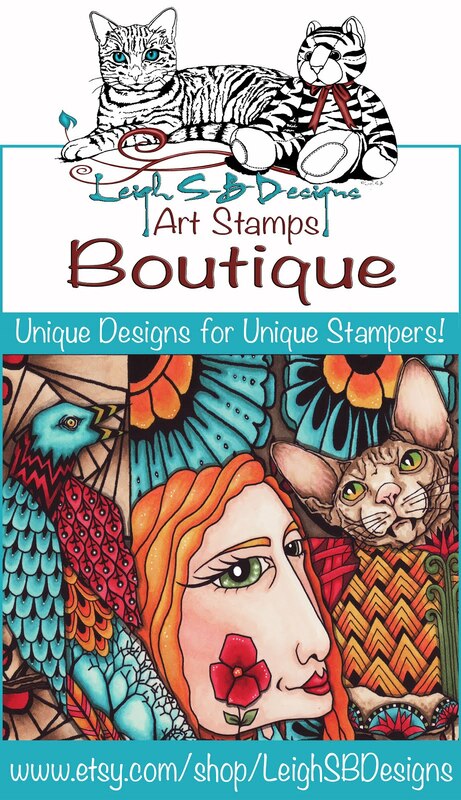 For this card I combined two of Blockheads digi stamps: the 'Mansion' and the 'Boo!' sentiment. 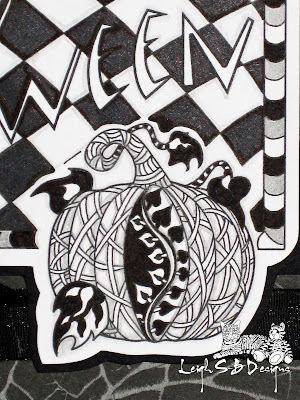 I used quite a few Tangles on this one: Hollibaugh, Printemps, Tagh, Web, Flukes, Keeko, Swirls, Cubine, one that looks like a Chevron, Squares and a few of my own thrown in for good measure. 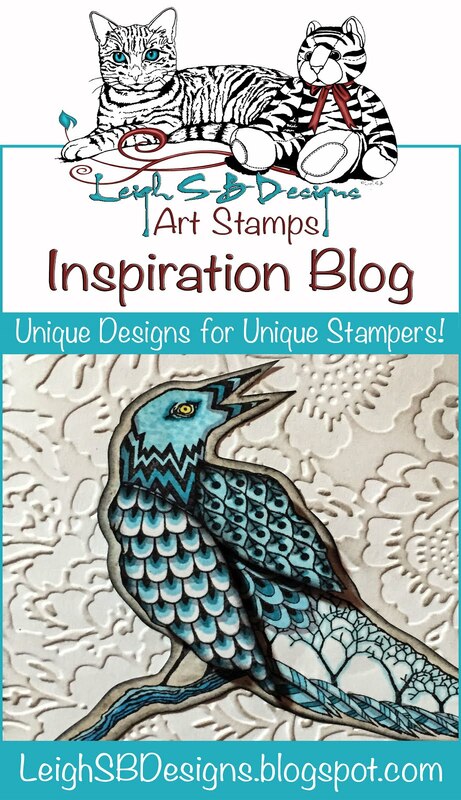 I cut, punched, distressed and matted the Zentangle panel the same as the tag and then mounted it onto a decorative mat from the Martha Stewart Crafts Elegant Witch Mat Pad. 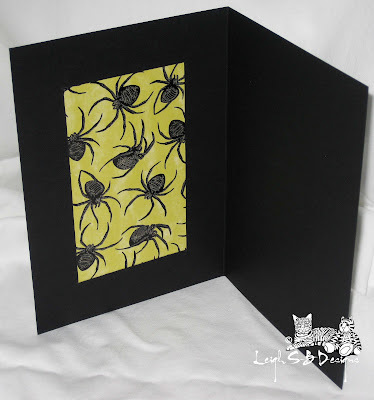 I actually used the design on the back of the mat coz it matched my monochromatic colour scheme but the lime green spider design on the other side was too good to waste so I cut a peek-a-boo window into the folded card I made from black cardstock. 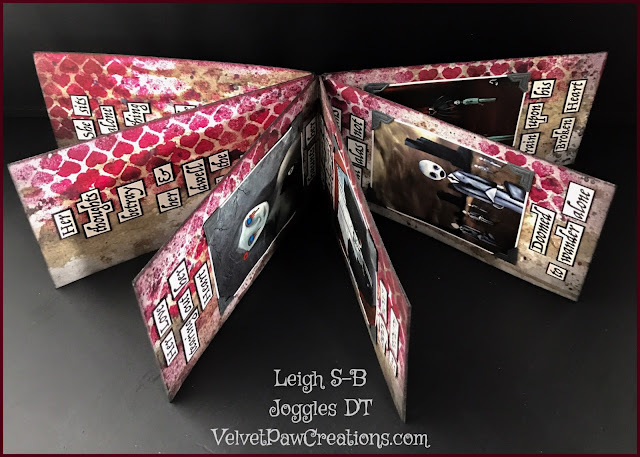 Now the design can be appreciated when the card is opened ;0) I completed my card with a glittery bat cut from a self-adhesive border trim by Martha Stewart Crafts. 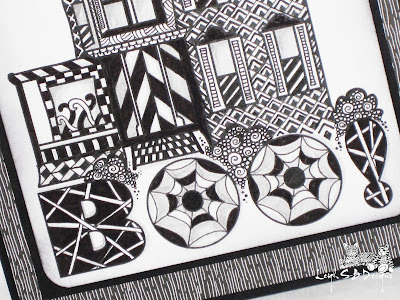 Here's a few close-ups of the Zentangles! 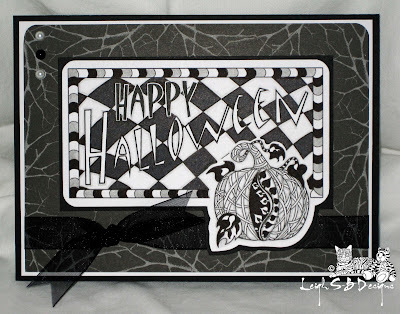 On the last card I also combined two Blockheads digi stamps: the 'Happy Halloween' sentiment and the 'Pumpkin'. I used the Hollibaugh, Growth and Keeko Tangles on the Pumpkin with my own patterns on the leaves. 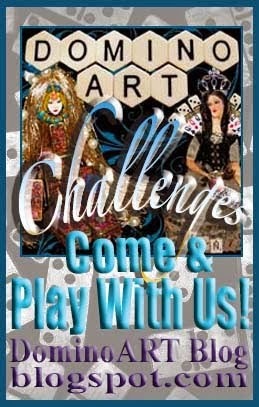 On the sentiment image I used Knightsbridge for the background and I don't have a name for the pattern I used on the border, anyone know? 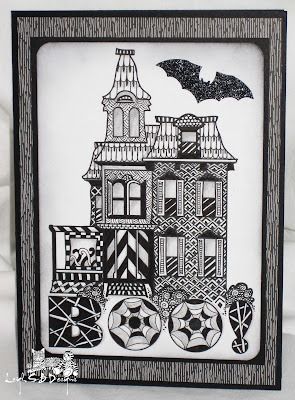 I cut, punched and matted the Zentangle panel the same as I did on the tag and Haunted House card and then mounted it onto a decorative mat from the Martha Stewart Crafts Elegant Witch Mat Pad. 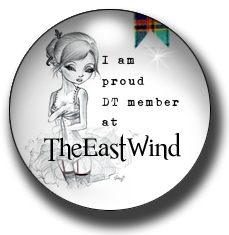 Again I used the design on the back of the mat but decided not to do a peek-a-boo window for this one. 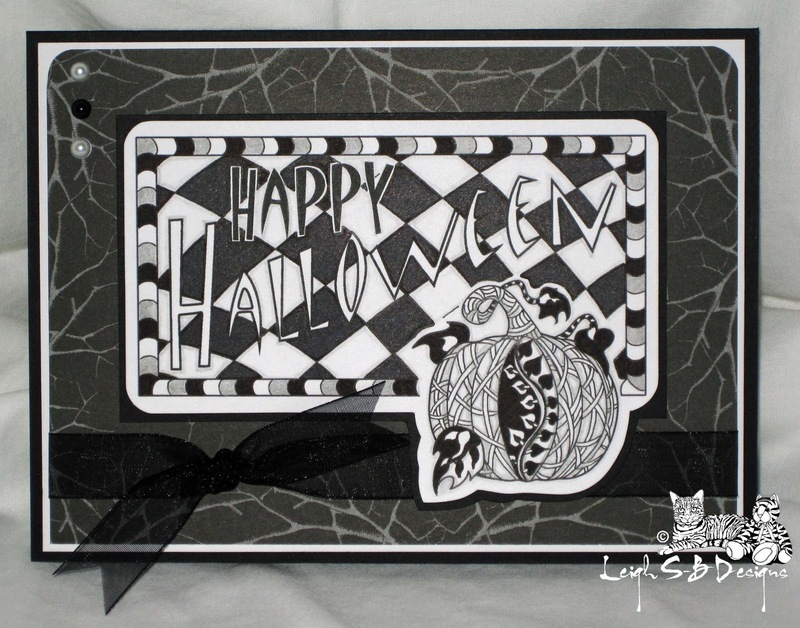 I embellished the matted panel with white and black self-adhesive pearls and sheer black ribbon and also used a white mat on this card before adhering it to the folded card I made from black cardstock. 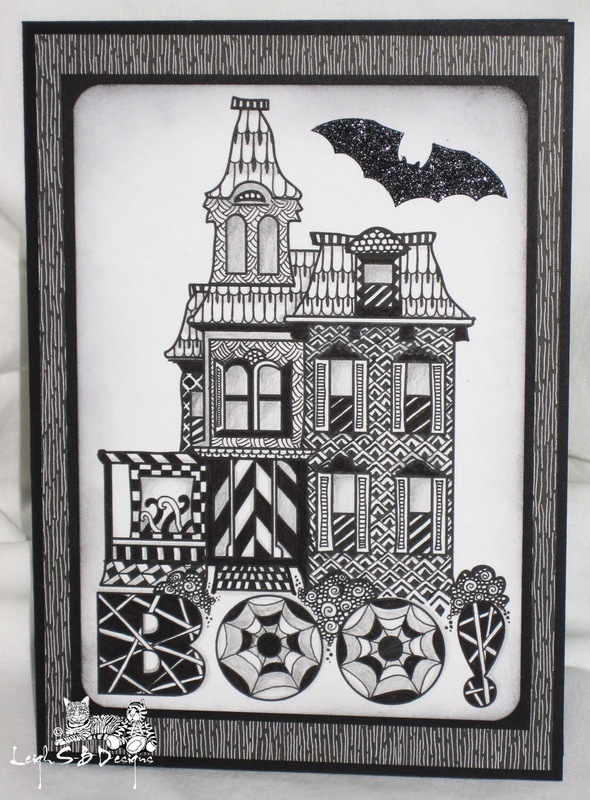 I hope you enjoyed checking out my Zentangle'Ween creations! 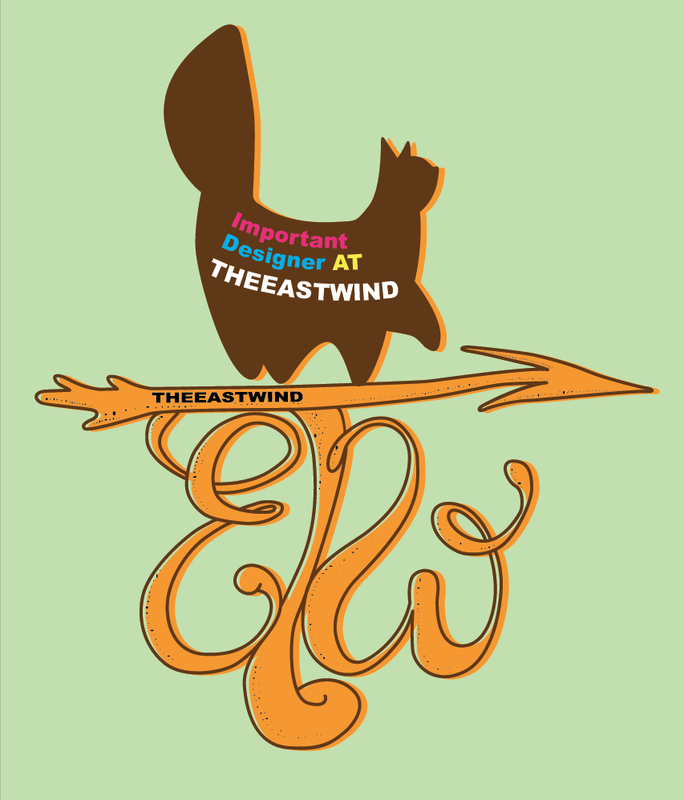 I've got a few more up my sleeve with a Thanksgiving theme so stay tuned for those! Pretty darn funky! I love your tangles. WOW!! Nothing can keep you down. I love your Tangles. 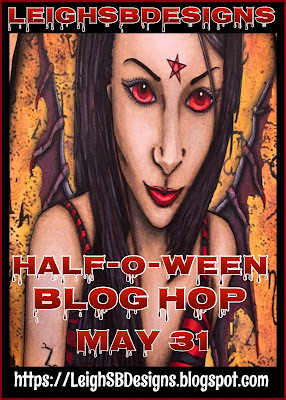 Especially the pumpkin...uber cool. Wow, these are amazing, just love that one with the cat!! !